Description Unspoiled views of Patoka Lake sunsets, combined with Indiana wine and food pairings, make for a relaxing summer evening aboard the Patoka Voyager cruise boat. 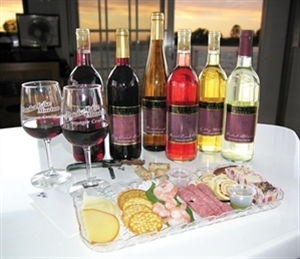 Admission includes five to seven tastings of wine, two full glasses of your favorite wine and a souvenir wine glass. Reservations required. Add Sunset Wine Cruise to your free online travel itinerary.